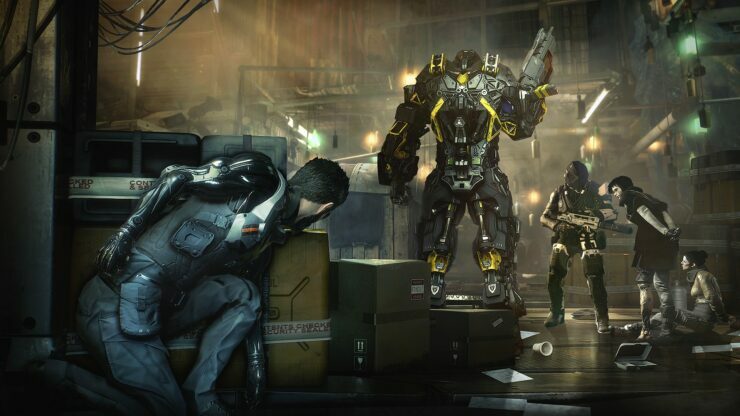 Developer Nixxes has released another Deus Ex: Mankind Divided PC patch which fixes even more crashes that players have been reporting. Like the third patch that was released last week, the new Mankind Divided PC patch focuses on issues that player have been reporting during the week after release. The update will be applied by Steam automatically when you next start the game. We have just released another PC patch for Deus Ex: Mankind Divided, v1.3 build 524.17_P4. This patch focusses on critical issues that were reported by users during the week after release. Fixed another crash in the Prague 3 subway that was still encountered by users. Fix for the crash in the TF29 elevator. Fixed crash that could occur when loading saves in Golem. Fixed issue where multi-monitor UI was missing. Unmark action is now configurable through the key mapping menu. While we expect this patch to be an improvement for everyone, if you do have trouble with this patch and prefer to stay on older versions, we have made a Beta available on Steam, v1.0_build524.6, v1.0_build524.7, v1.1_build524.10 and v1.2_build524.15 that can be used to switch back to previous versions. Let’s hope that the most critical issues have now been resolved. We’ll report when Nixxes releases a new Mankind Divided PC patch.